Our rivers feature premier trout fishing, both native and stocked. The surrounding Monongahela National Forest boasts the best in hiking, caving, horseback riding. And, of course, there is Fall Color site seeing! 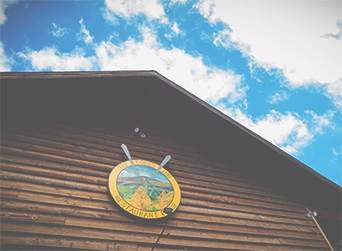 We are a short drive from major ski areas such as Timberline and Snowshoe Ski Resorts. We offer special winter and getaway rates; just contact us for more information! Take your vacation to the heart of West Virginia! Nestled in the heart of Randolph County, our riverside cabins will make you feel at home. We offer five riverside cabins to choose from and can accomodate up to 9 people per night, comfortably. With easy access, plenty of fine dining and other amenities nearby, our cabins provide the perfect blend of city and country for your next West Virginia vacation. Make a reservation with us today! 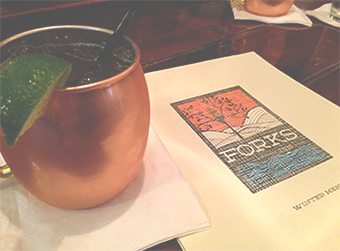 The Forks Restaurant serves dinner Tuesday through Sunday and offers upscale food in a relaxed atmosphere. 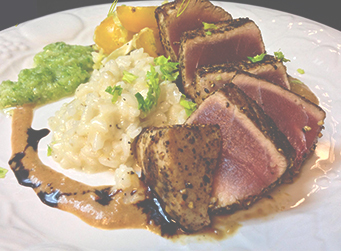 Our cuisine is a mixture of fine comfort and American dishes, with our menu changing seasonally. We are a family owned business with over 40 years of combined restaurant experience. 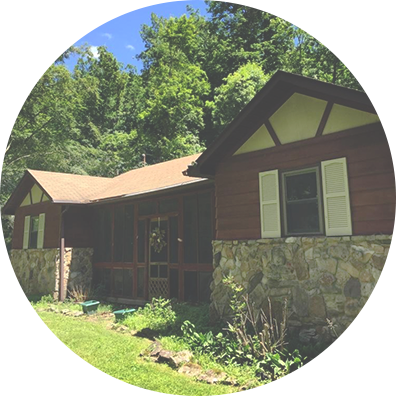 Our vacation rentals are conveniently located roughly 7 miles outside of Elkins, WV along the Shavers Fork River located just off Route 33 East. Call for cabin-specific directions. All the luxuries of town are just 5 minutes away while all the beauties of nature surround and mezmerize you.